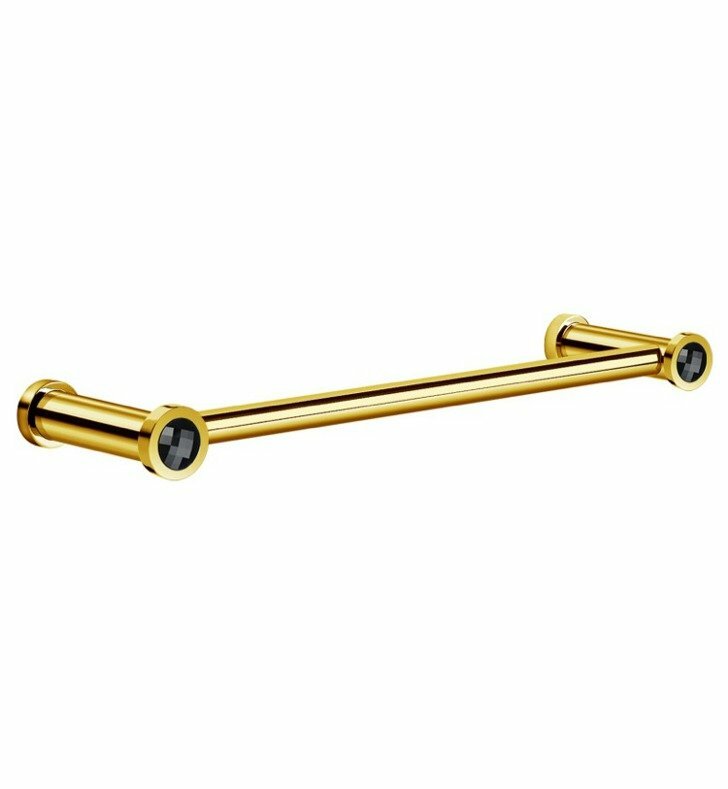 Begin with this modern decorative wall mounted bathroom towel bar. Made out of high quality brass in a gold finish. Styled with luxurious black Swarovski crystals. Designed and made by Windisch in Spain. From the Windisch Moonlight Round collection.